When Kaylee Cavanaugh screams, someone dies. So when teen pop star Eden croaks onstage and Kaylee doesn't wail, she knows something is dead wrong. She can’t cry for someone who has no soul. Kaylee, Nash, and Tod go to a concert where Tod’s ex-girlfriend is performing. Eden, the lead singer, dies onstage and a reaper comes to get her soul. It turns out that, like Eden, Tod’s ex Addison also sold her soul. Oh dear. 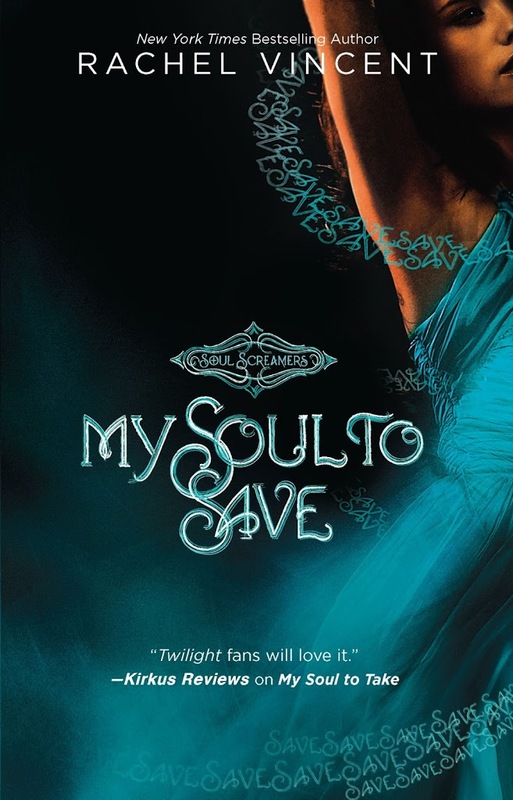 So Kaylee and the crew have to try to save Addison so her soul isn’t trapped in the Netherworld forever. At the concert, Eden drops dead onstage. Libby, a special reaper, comes and takes away what should be Eden’s soul. Instead of a soul, though, it’s Demon’s Breath, which means Eden sold her soul to a hellion and it was replaced with that gross stuff. Addison, Tod’s ex-girlfriend, sold her soul too, because apparently these teenagers are idiots. She wants to kill herself to release the Demon’s Breath. Kaylee and Nash try to talk to her, but Tod has to reveal himself to get her to listen. Tod and Kaylee want to search for Addison’s soul. Nash refuses initially, until Kaylee puts her foot down. Kaylee feels terrible about what happened to the souls of the girls her aunt killed in the first book, so she wants to do something to help. Harmony, Tod and Nash’s mother, is helping Kaylee control her bean sidhe ways. If she learns how to control her screaming, she will be able to peek into the Netherworld. Dekker Media, the company Eden and Addison were/are signed with, has been encouraging and blackmailing teenagers to sell their souls in order to be successful. Since Addison has no soul, her eyes are now a solid white and she has to wear contacts to make them look normal. Thomas Dekker offers Regan, Addison’s sister, a contract. Regan is desperate to accept it because she’s tired of living in Addison’s shadow. She accepts, and Kaylee is too late to stop her. Levi, Tod’s boss, arrives and relieves the reaper, Bana, of her duties. She had been taking teenagers to and from the Netherworld, and so she must be fired. Levi is a BAMF. Kaylee saves Bana’s soul in order to trade it to whichever hellion took Regan and Addison’s. Kaylee and Tod fill Emma in on some of the bean sidhe/reaper/soul stuff. She takes it rather well. Kaylee asks Harmony to tell her some more stuff about the Netherworld and those who reside in it. She tells Harmony it’s just for research in case of an emergency. Back home, Kaylee crosses over to the Netherworld and gets cut by the really sharp grass. She uses the Netherworld to get out of her house without her dad knowing. She meets up with Tod, and Nash. It turns out that time moves more slowly in the Netherworld. A fiend in the Netherworld says he will tell them where to find the hellion who’s been taking souls, if he gets a portion of the hellion’s breath. He gives Kaylee an hour to get the breath. Kaylee, Tod, and Nash cross back over to the human world and call Addison. Kaylee has been pricked by a poisonous plant and her ankle is swelling up rapidly. She picks up some antibiotic cream for that, and some balloons for Addison to breathe the Demon’s Breath into. They go back to the Netherworld and pop the balloons in front of the fiend until he agrees to tell them where to find the hellion. One balloon pops in front of Nash’s face and he inhales some of the Demon’s Breath. Ew. The fiend tells them they’re looking for a hellion named Avari, who is a hellion of greed. Tod gives Kaylee a kiss on the cheek for helping him. This is very important, okay? Then he goes off to find out where Avari is, while Nash and Kaylee get Regan and Addison. Avari tries to buy Kaylee’s soul, but she refuses. He agrees to swap Bana’s soul, which Kaylee and the others have, for Regan’s. But he swaps Addison’s instead. Kaylee tells him that if he wants Bana’s soul then he had better give up Regan’s, and he will get Addison’s back as well. Avari agrees, and the bean sidhe and reaper GTFO of there. So, Addison is gone, but they have saved Regan. Harmony heals Kaylee’s ankle, and Kaylee tells her dad about what happened. Meanwhile, Tod takes John Dekker to Avari’s office so the hellions can have their way with him. Bean sidhe (female) – They scream when someone is dying, and suspend the soul in the air so it can’t move on to the afterlife. Bean sidhe (male) – They hear the females’ screaming as singing, and can put souls back into the body in exchange for another’s life. They can also Influence people’s emotions. Reaper – take the soul once a person is dead. Hellion – A kind of demon that resides in the Netherworld. Quite powerful. They feed on emotions and souls. Netherworld – Where all kinds of hellions, faeries and things live. Avari – Hellion of greed. Crimson creeper – A poisonous plant. Fiend – Creepy little buggers in the Netherworld.